A few people have commented on the lighting in my pictures. I wish I could take credit for all of it, but I am fortunate to have a dining room with 10 foot windows that face west. Rain or shine, the room is filled with light. Later in the day, depending on the time of year, the sun shines at almost a 90 degree angle into the room. 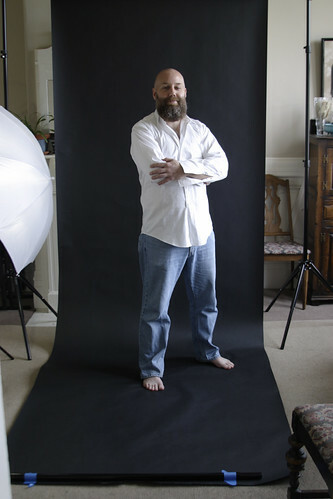 With Kevin, I moved a free standing white umbrella light in about 2 feet from him to fill up the other side of him. So again, thanks for the compliments on the lighting, but I really did very little.